I’ve been blessed to have been educating our leaders of tomorrow as a Mathematics teacher for over 30 years, have been exposing lead poisoning in our public schools for almost 20 years, have been accredited by the Maryland Department of the Environment since 1997 as an accredited Lead Abatement Contract, Lead Expert, an Inspector Technician, and an Clearance Examiner, and have written a documentary which, amongst other things, traces my public exposure of the lead poisoning in some of the public schools in Maryland since 1996. As implicative in the title cited above, my documentary reveals lead poisoning in four different schools in Maryland through lead-contaminated drinking water and/or leaded dust from lead-based paint hazardous school buildings. The footnotes documents the evidence in the Courts, including the Supreme Court, which substantiate the fact that some of Defendants who represent our Government in my civil complaint, which was ultimately dismissed due to the substantiated intentional perjury by the Court of Appeals, are named as being responsible for knowingly and willingly exposing our children in Maryland to lead poisoning and/or failing to uphold their responsibility to protect our children from being exposed to lead poisoning. Again, these Defendants represent branches of our Government. The evidence in my documentary and in the record in the Courts supports the fact that since my whistleblowing from 1996 to the present, I’ve endured persecutions, with the latest being having my livelihood as a Mathematics teacher being wrongfully and illegally taken away from me for the second time. Also, I’ve had to file for bankruptcy, had my home foreclosed on, and apparently have been blacklisted because for over six years I’ve been unable to find a job in my profession, can get unemployment benefits due to the false allegation against me, and I’m presently without an income and, thus, living below the poverty level. The fact that I'm still able to maintain this website is only through the help of my loved ones. I believe that the Government has been attempting to silence me not only because I’ve exposed lead poisoning in the schools in Maryland, but because I continue to publicly advocate that our Government, which includes some of the Defendants in my civil complaint, compensate our children that have been damaged by lead poisoning because the negative effects of being poisoned by lead on the major organs of the human body can last a life time. 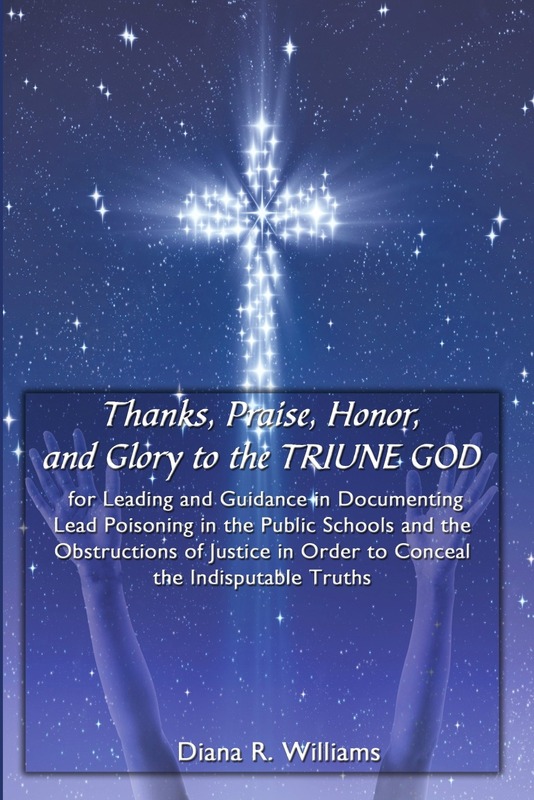 The footnotes in my documentary give reference to the evidence in the Courts that substantiate the facts that various agencies in the Government, which includes some of the Defendants in my civil complaint, have obstructed justice as a means of concealing the fact that they not only knowingly and willingly exposed our children and others to this potentially deadly poison, but refused to test all the children that may have been exposed to lead poisoning. Our children and the children in Flint Michigan that have been exposed to lead poisoning but haven’t been tested need to tested for lead exposure using the special XRF-machine that tests the shin bone to determine the accumulative amount of lead in the body because after about 8 weeks lead is no longer in the blood stream but is in the bone and stays there for nearly 30 years. Thus, my prayer is that, you, President Donald Trump, as well as Former Presidentt Obama have met with the families in Flint Michigan that have been exposed to lead-tainted drinking, he will, also, meet with myself and other "20 years and counting forgotten citizens here in Baltimore that have been concerned about our children being exposed to lead poisoning, which include being exposed through drinking lead-contaminated water in our schools for nearly two decades. Click this link to read and sign the Petition to hold PRESIDENT TRUMP to his promise to "help the fogotten citizens of the U.S", www.change.org/p/president-donald-trump-holding-president-trump-to-his-promise-to-the-forgotten-citizens-of-the-u-s; You can read entire petition on this website.